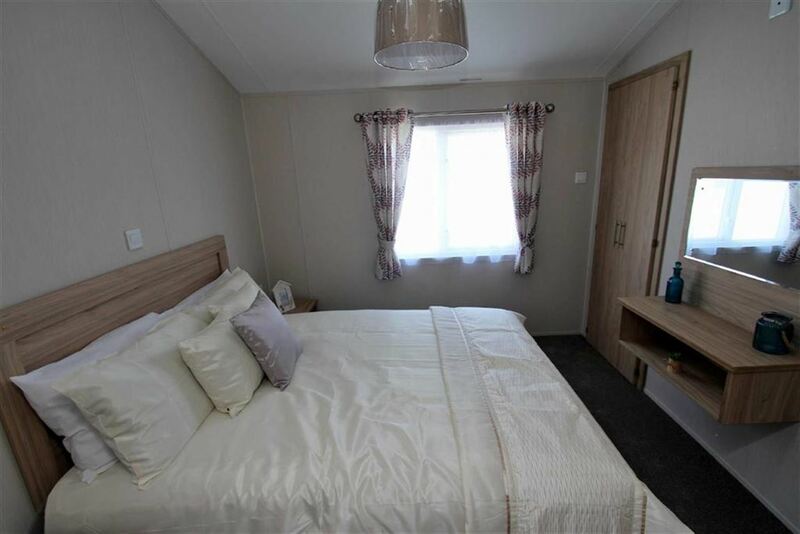 The Willerby Cadence - The Willerby Cadence is a real home from home with its sleek lines and modern design. 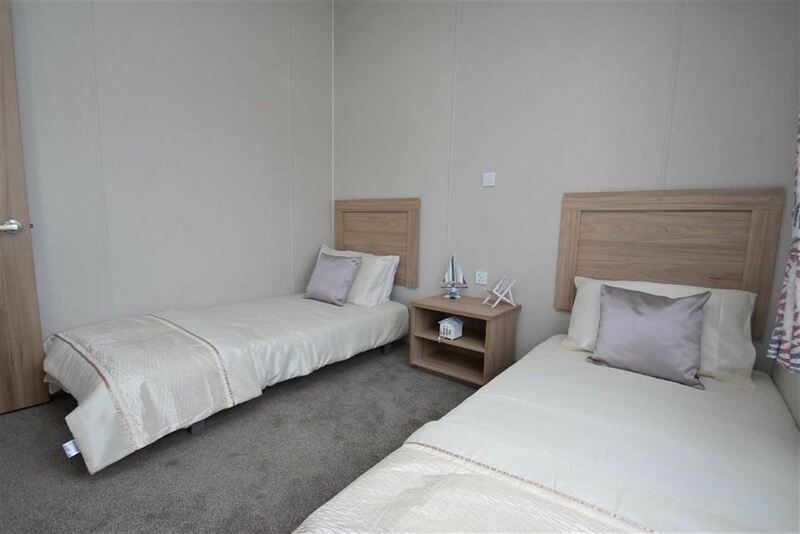 There are two spacious bedrooms, the master has an en-suite with a large shower, WC and wash basin, it also boasts a walk in wardrobe. 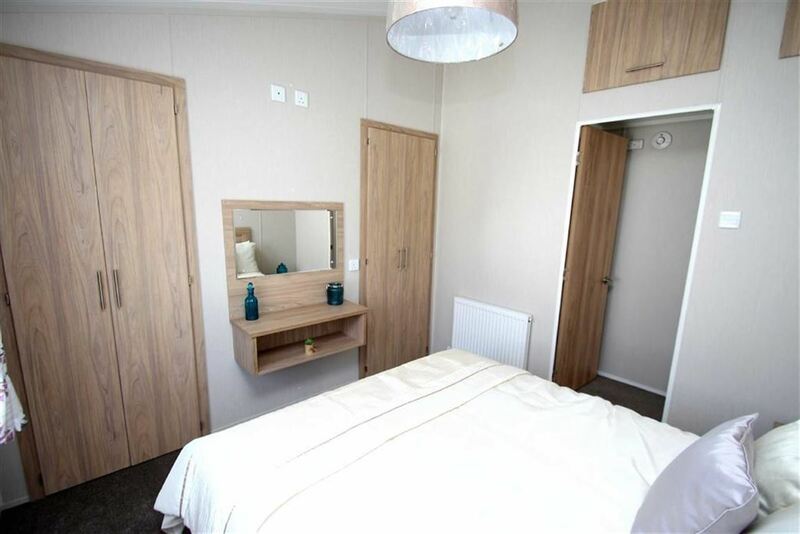 The second bedroom is a twin which also has a walk in wardrobe. 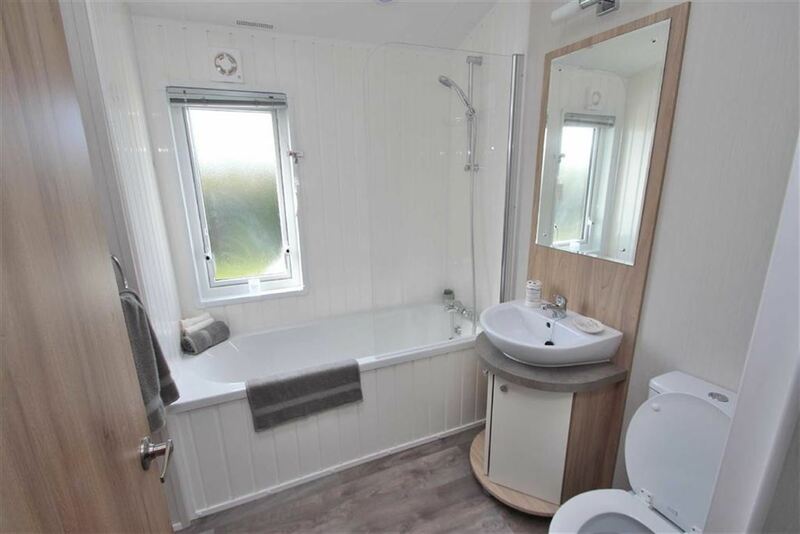 As well as the en-suite there is a full size bathroom which has a bath with overhead shower, WC and vanity unit with a wash basin. 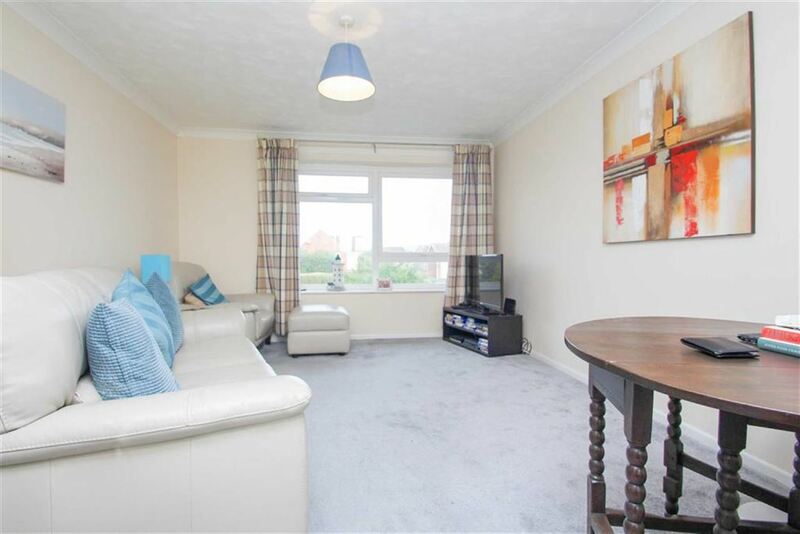 These all lead off an internal hall way which leads into the open plan living area. 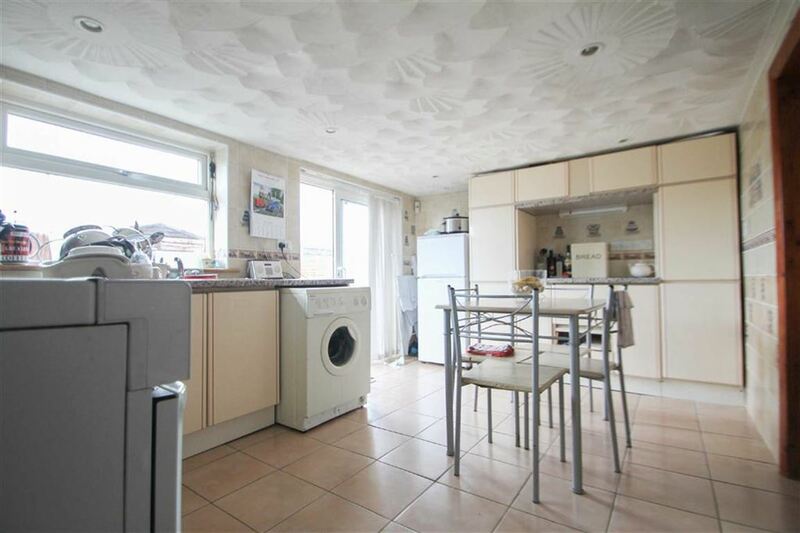 Although open plan it has been designed to give the feel of separate areas. 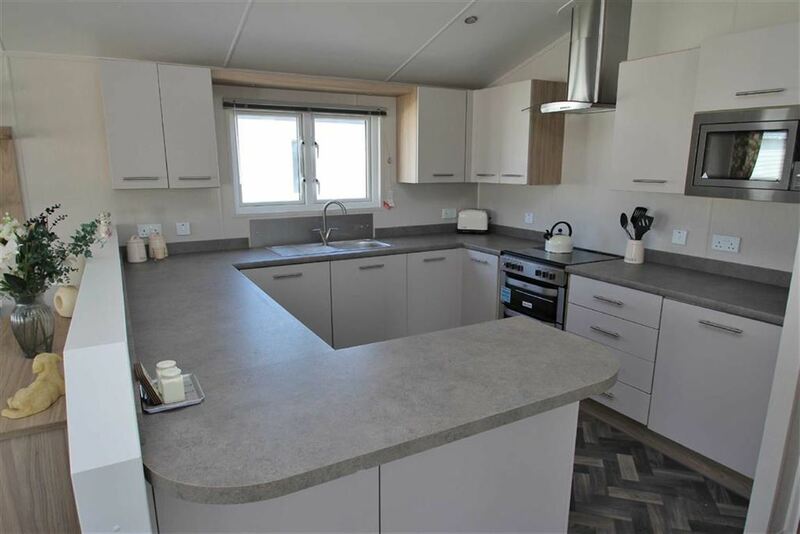 The kitchen is a very workable area with plenty of cupboard space and work surfaces as well as the required mod-cons. 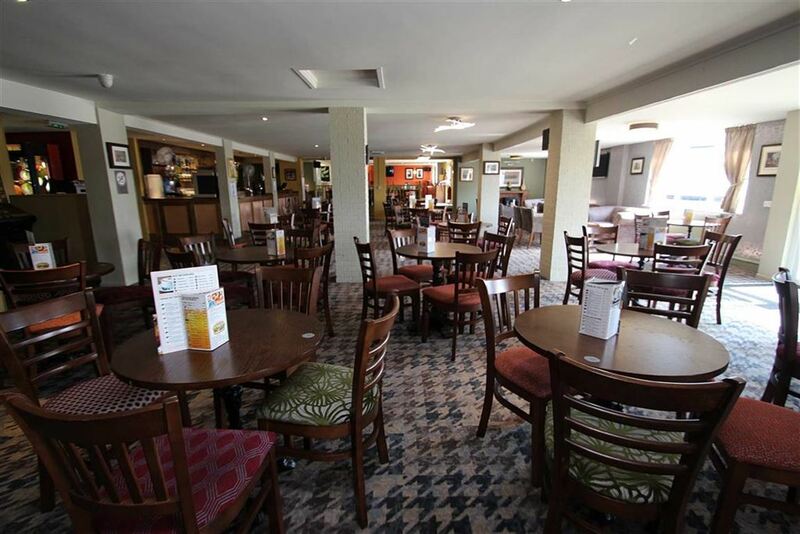 There is a spacious area for the dining table next to the full size front window, ideal if you want to watch the world go by as you enjoy your meal. 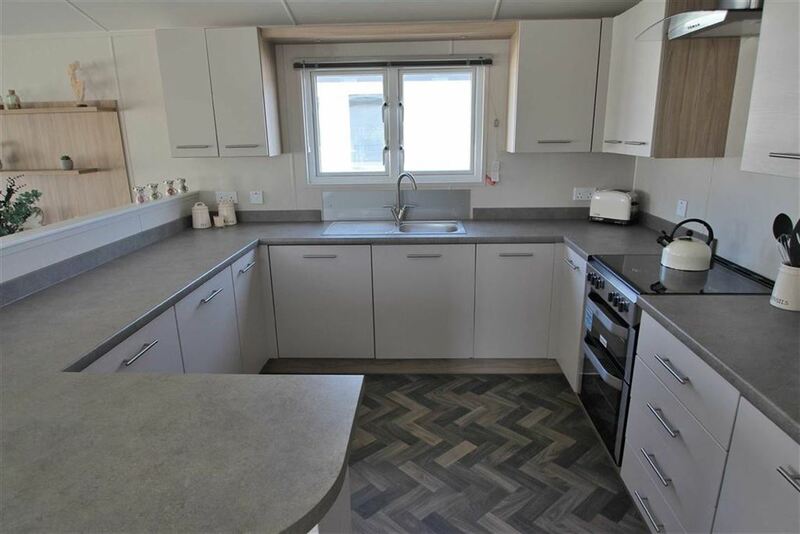 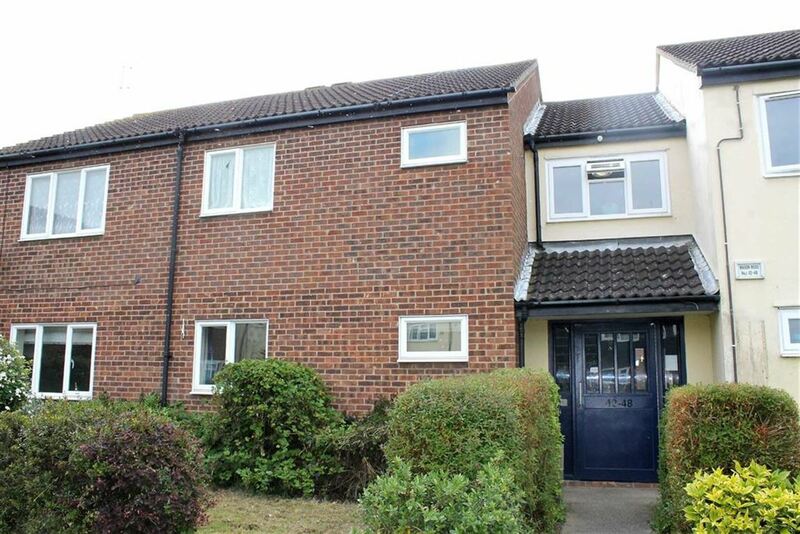 As well as the full size front window there are also patio doors to the front, these open up onto a decking area large enough for a table and chairs, so you can sit out and relax with a cup of tea or a glass of wine. 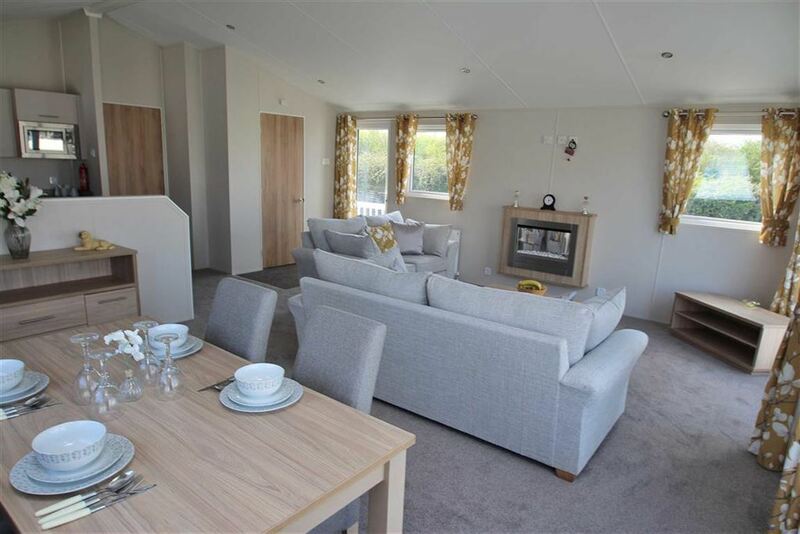 During the warmer weather the patio doors let the air flow through your holiday home but during the colder evenings close the doors, shut the curtains and cosy around the feature fire on the two free standing sofas. 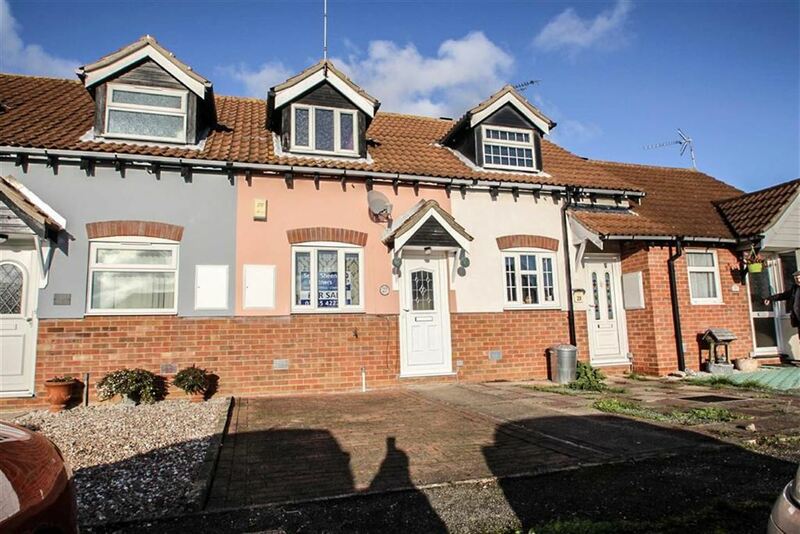 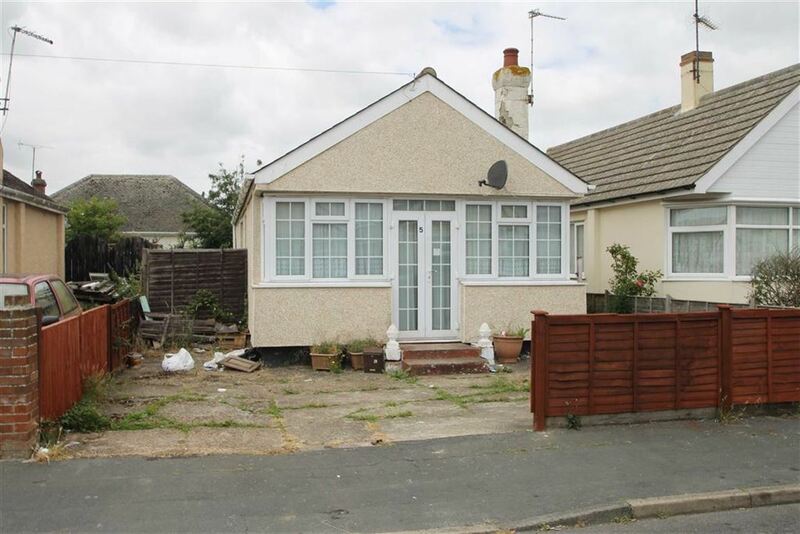 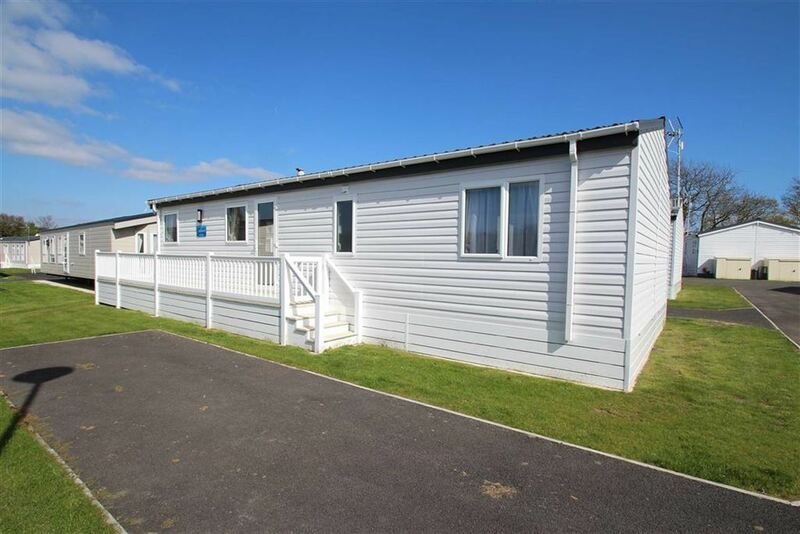 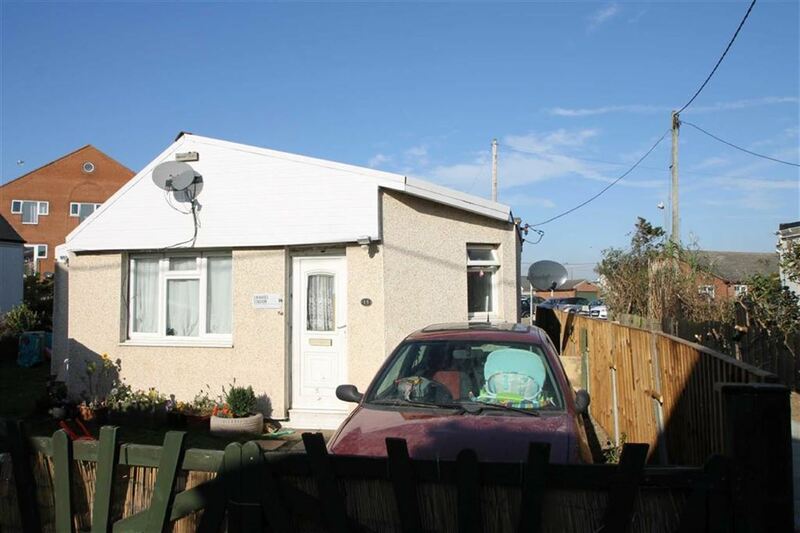 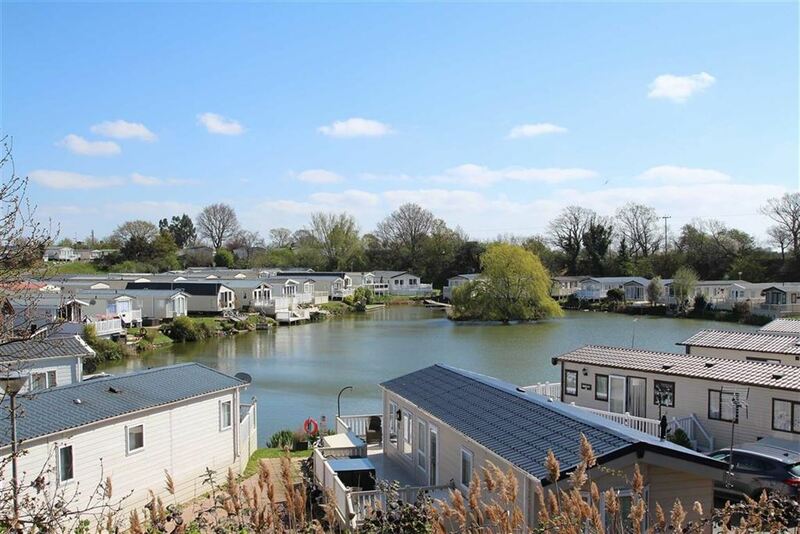 Situated between Clacton and Colchester all the main facilities are close by, also on park there is a bar and small restaurant as well as a mini shop, laundrette and fishing lake. 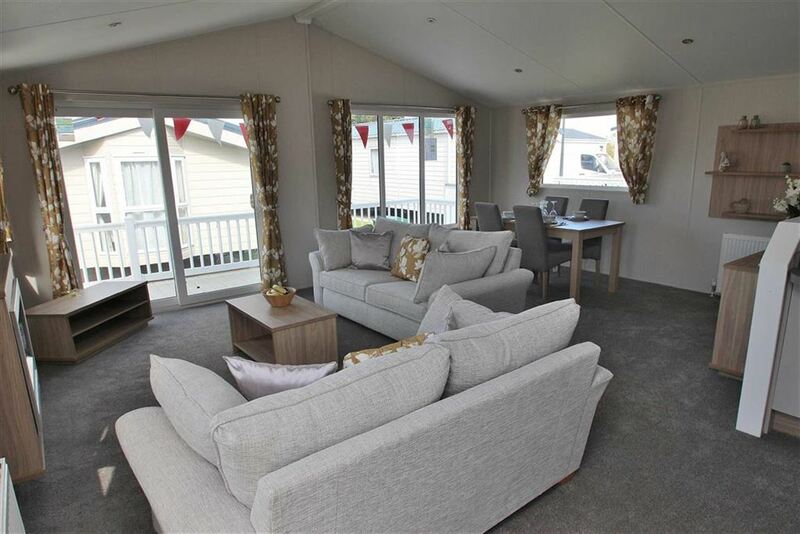 All that's left to do is get on the phone to our friendly team to discuss your dream holiday home lifestyle!